Dynamic QR Codes - Solutions 4 Mobile Marketing! Unlike QR codes up to now which were forever tied to one link or piece of information, My QR Codes are linked to an Offer Management System so that the message or URl that the QR Code points to can be changed at will or even set up to change automatically. Please imagine that the sample code below was on an advertising piece for your business, such as a flyer, newspaper ad, refrigerator magnet or was printed on your product container, such as a pizza box. 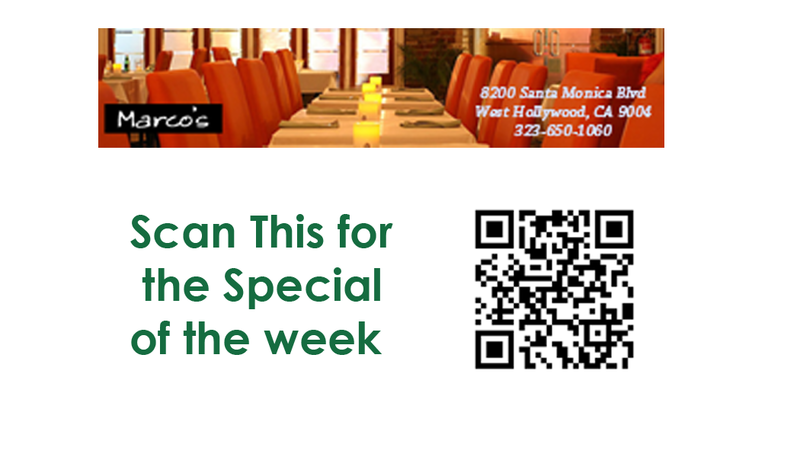 Because these qr codes are dynamic, we can change where that code points to, so that you can change the offer, message or coupon either manually or on a schedule, automatically, without reprinting new ads with a new QR code. 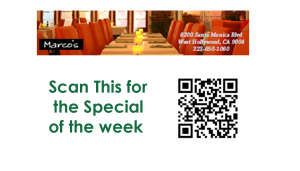 With this demo QR Code, a refrigerator magnet for a restaurant, it is programmed to change messages every minute (there are three rotating messages for different offers for the restaurant). Scan the code, then close the browser and wait just over a minute and scan it again to see the next message (you can’t just refresh the browser, you must do the process, scan the code, again). © 2019 - Solutions 4 Mobile Marketing!